A spaghetti western with a black cowboy - Who else you reckon would venture into a territory like that? Another hint - a ruthlessly violent, gore and cold blooded revenge saga - sounds familiar? Good Guess - Quentin Tarantino it is. 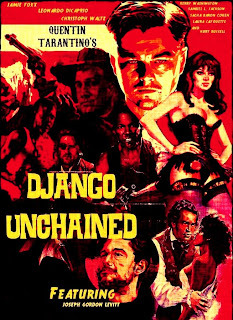 The man's back with his large red font title credits, variegated background score and of-course a cast to die for as he adds another feather to his cap - Django Unchained. Before I begin my review, let me remind you that there are some flicks that owe its ingenuity to a great story (The reader, if I may), some to it's crisp screenplay (let's say The Social Network, or Tarantino's much acclaimed Pulp Fiction), some for direction (for instance The Hurt Locker); and some stand out based on sheer brilliance of performance. Django Unchained is one such movie. So if you are expecting an evenly paced, action packed western, I'd say cancel your movie tickets and shut down that torrent window right now. Set in the antebellum era (the era in the Southern United States preceding the Civil War), Django Unchained is a stylish account of Django's (a black slave) pursuit to free his wife from a cruel and charismatic plantation owner Calvin Candie. His is aided in this quest by his mentor - Dr. King Schultz, a German Dentist/Bounty Hunter who trains him in bounty hunting and mastering a sidearm. Django is a caterpiller, so to say. His character does not attain resplendence until the second half of the film and initially appears like a side kick to Schultz. 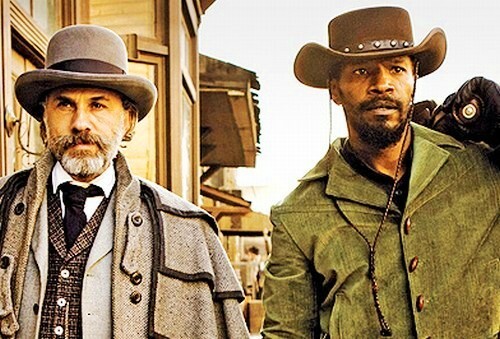 Skilfully portrayed by Jamie Fox, the transition of Django from a hot headed slave to a shrewd, revenge seeking cowboy is gradual and credible. Christopher Waltz's portrayal of Dr. King Schultz is mildly enigmatic. It is difficult to fathom why a bounty hunter, who kills outlaws in cold blood, would take a black slave under his wing and helps him save his wife? Or why would he be so disturbed at Calvin Candie's orders to have of his Mandingo fighters be torn apart by attack dogs. (Yes. The film's not for the weak-hearted). Speaking of Calvin Candie, Leonardo Di Caprio's performance is one of his very best. His condescending conversations with Schultz were almost like a metaphor of revenge on Christopher Waltz for playing Hans Landa in Inglourious Basterds AND winning a Oscar for it. Yes, Leonardo Di Caprio was that good. It's a shame he wasn't even nominated for the Oscars. The rest of the cast doesn't have much scope to be remembered, honestly. Samuel Jackson's as the conniving house slave Stephen does leave his mark though. 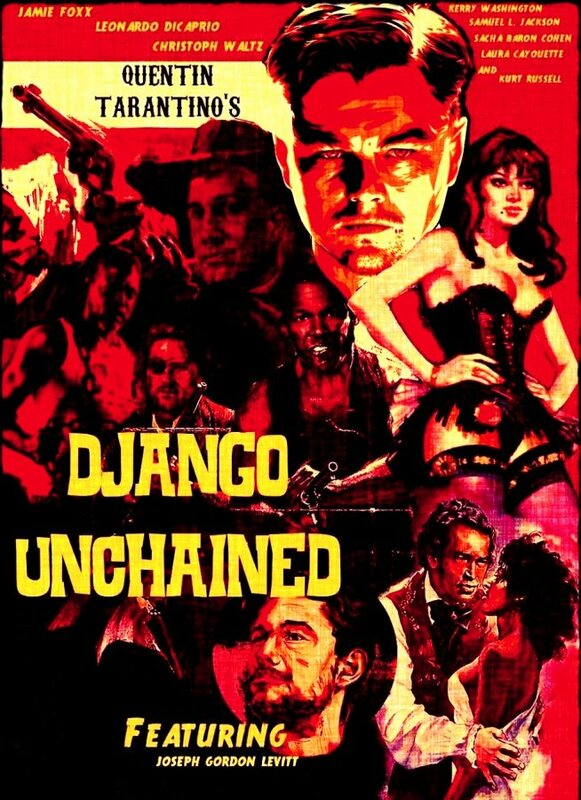 Unlike other Tarantino Flicks, Django Unchained has a linear narrative, excluding a few flashback scenes. (Visually the flash backs scenes were the best of the lot). Despite being set in the antebellum era and focussed on major social issues like slave trade, the film's historical verisimilitude can’t be said to be one of its highlights. It is brazenly and relentlessly about style, and action. Amidst the bloody mayhem, Tarantino does create some lighter moments with clever dialogues and smart comic timing - one of the funniest scenes being a group of Ku Klux Klan members gunning for Dr King Schultz (Christopher Waltz) and Django (Jamie Foxx) argue over the peepholes in their white hoods. Django's unfamiliarity with high brow English too triggers some laugh out loud moments. Django Unchained is a bumpy ride - violent gun fights juxtaposed against intense conversations, some may even call the screenplay patchy. Being an epic story in nature, the narration slows down at certain junctures, at the cost of making you restless and wondering ‘where exactly is it going?’ But the climax, in pure Tarantino style completely makes up for those pitfalls, screaming 'and that's how it's done! '.